Ladies, you were meant to SHINE with the light and love of Jesus. But so often the world and all of its demands drains us of the joy, love, passion, and dreams that used to burn so brightly within us. As women, we need to draw strength and encouragement from one another and most importantly, from Christ! Shine, the Ladies Ministry at Maranatha Christian Center, is a place where women of all ages can come together to find encouragement, hope, love, and friendship. 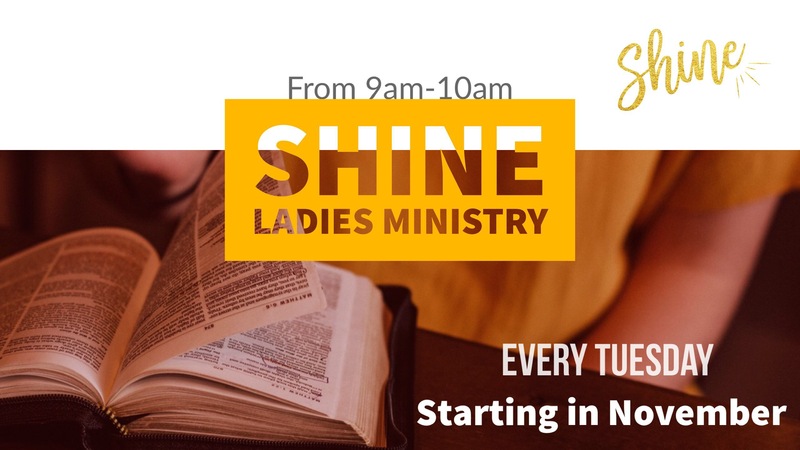 Shine consists of weekly bible studies and yearly events and outings. Join us each Tuesday (starting November 6th), from 9am-10am at MCC.